Armeena Khan Works With HRF to Help Syrian Refugees! 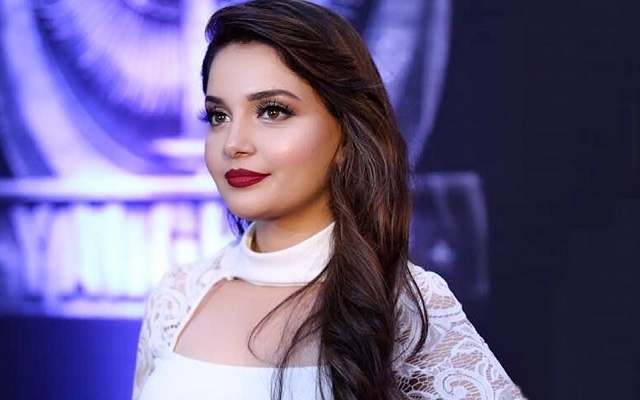 The Pakistani-Canadian actress, Armeena Khan has also been very vocal about this issue and has expressed her support for the people of Syria. She recently announced that she will be working with an organization called the Human Relief Foundation to collect various donations for Syrian refugees. It’s amazing how one can use her celebrity power for the right cause and just how many people reached out through the actress’ plea. The on-going crisis of Syria has left the people across the world in grief, however, there is nothing being done for them except a handful of donations – which honestly aren’t enough. Regardless, many people are joining together, including many charity and human rights organizations around the world to help the citizens of Syria the best they can. Of course, there are many Pakistani celebrities other than Armeena who have come forth with this problem and have encouraged people to reach out to the Syrians through these organizations. They have also shared their anger and sadness regarding the attacks on these innocent people and how they are stealing the future of many innocent children. “Open season” on #Syria currently. The events are just too, too disturbing. Latest is that the war is about to get much, much worse and bigger. 🤲🏻 May God keep the innocent in HIS protection. Not only has Armeena shared her concern over social media, she has also joined hands with the Human Relief Foundation (HRF) to help Syrian refugees. The HRF is so pleased with her help that they personally thanked her on their Twitter account! Armeena’s reply to them is the sweetest thing ever! Armeena has also posted about how the donations given to HRF just to show her millions of fans that their money and donations are safely reaching the Syrians. She has also told her fans to send as much help as they can through donations with the help of HRF because even a little help from your side can greatly help them. Moreover, she even added a video of a volunteer showing how the donation works on her Twitter. Below is a video of the volunteer briefing about the situation and sending Armeena a big thumbs up for her help. Armeena also actively reduced the conflict by telling them that a celebrity is not speaking publicly about the Syrian issue and everyone should work together. She requested her followers to “stop inflicting guilt on others.” Armeena further added that the Syrians won’t judge people based on the number of posts dedicated to them. They appreciate help. Armeena has also reached out to her international friend, Jordon, who has been helping Syrian people. If this doesn’t make her perfect, I don’t know what does! Armeena Khan has actively brought forward an excellent example of how to help the Syrian refugees even if a person cannot directly go help. The Human Relief Foundation and Armeena are looking forward to help more refugees with their generous donations and courageous efforts. Even though the world has become a cruel place for the Syrians, the least we can do is send some comfort because kindness is free and long-lasting. Previous Posts Karachi Tea Festival KTF (Islamabad): A Refreshing Event for Tea Lovers and Beyond!